Once you’ve created an account, you’ll have a main dashboard, where you can navigate to “Alexa” in the top menu bar and start building new skills. Fill out the Skill name and Skill Directive and save. Log in to the Developer Portal. 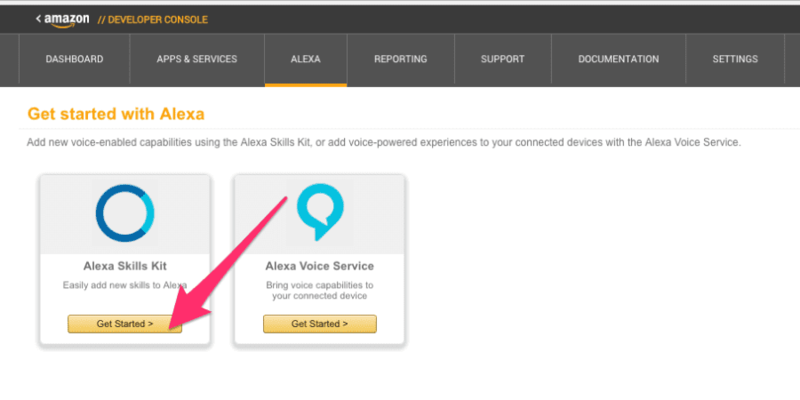 Navigate to the Alexa section by clicking Apps & Services and then clicking Alexa in the top navigation. This displays a list of your existing Alexa Skills. Find the skill to submit in the list and choose Edit. Note that there should be a green check mark next to each section. If any sections are missing the check mark, this means that at least one required field is not filled in. Review the section and complete all required fields. Once you have submitted the skill, it shows “Certification” in the Status column on list of sSkills. While it is in the certification process, you cannot make any further edits to the configuration. If you change your mind, you can select the skill, then click the Withdraw from Certification button. For the full rundown on the skill certification, read up here. And here are the full skills certification requirements. Office Hours: Amazon holds weekly office hours every Tuesday @ 1pm PST. You can sign up here. Webinars: Amazon hosts both both live and on-demand webinars for Alexa - check the schedule here. What kind of skill should you build? Check out the existing skills in the Alexa store. You might want to build something for the smart home, for lifestyle, or a game or trivia skill. Still need inspiration? Check out the Alexa Champions. Why should you build for Alexa? Get in early: Natural user interfaces, such as those based on speech, represent the next major disruption in computing. Alexa provides you with an opportunity to take advantage of the new form of interaction. Reach more customers: Engage with your customers through voice on Alexa-enabled devices, including Amazon Echo, Echo Dot, Amazon Tap, Fire TV devices and all devices powered by the Alexa Voice Service. Create engaging experiences: Delight your audience with a completely new way to interact with your service. Customers don't need to use their hands or eyes, they only have to "ask" and it's at their command, often becoming a daily habit. Gain expertise in voice design: The Alexa Skills Kit is a low-friction way to learn to build for voice. 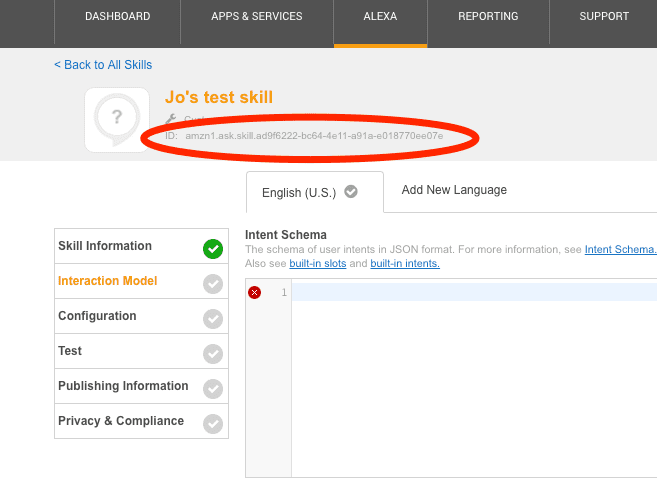 Create your first Alexa skill and add a valuable new "skill" to your developer toolkit. You can get a prototype up and running in just a few hours. Scale in the cloud: If you have an existing cloud-based service, you can easily use that to start. If not, AWS Lambda makes it really easy to build a cloud-based service that responds quickly to a voice request. Build for free: ASK is free to use. AWS Lambda is also free for the first one million calls per month, which can support skill hosting for most developers.